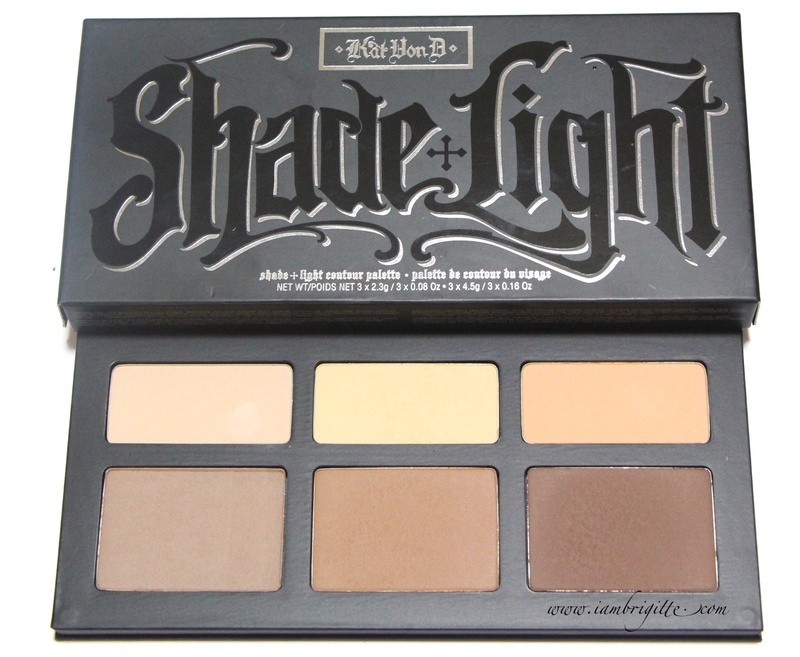 This contour palette features a total of 6 matte shades: 3 shades for contouring and 3 shades for highlighting. What I particularly loved about this aside from the amazing color payoff is that the contour shades are neither orange or muddy. When applied, they perfectly mimic shadows so the effect doesn't look too much like makeup. When I went to Sephora, I first didn't know that Anastasia Beverly Hills are also available. 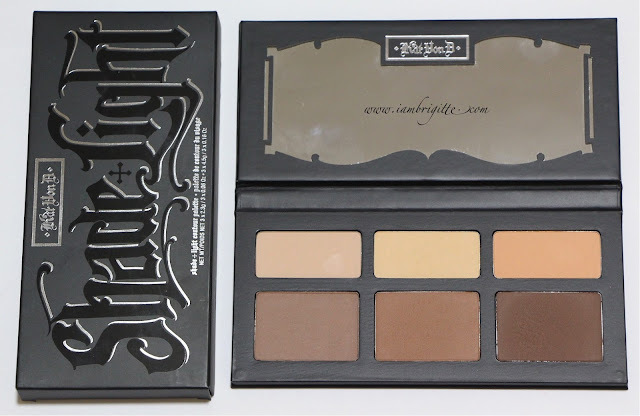 I approached its counter and saw the contour kit, and I was initially torn between that and this one from Kat Von D. I even had to ask the hubby on which of the two I should get and as expected, he just gave me that same poker face he makes whenever I would ask him about which makeup to buy. Hahaha! And so what made me decide which one to get? The size of the pans! ABH has round pans, all in the same size while this one has rectangular pans with the contouring shades being larger than than the highlighters. Another reason what made me decide is the packaging. I mean, just take a look at it. 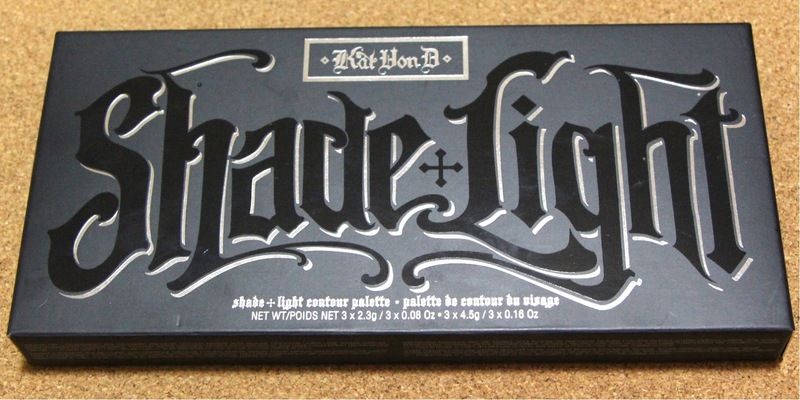 It's so unlike the cheeky packaging of other brands, which I also dig, but Kat Von D's packaging is so edgy. It's like saying "I am cool, but I have no time to play around..." Well, something like that. LOL! 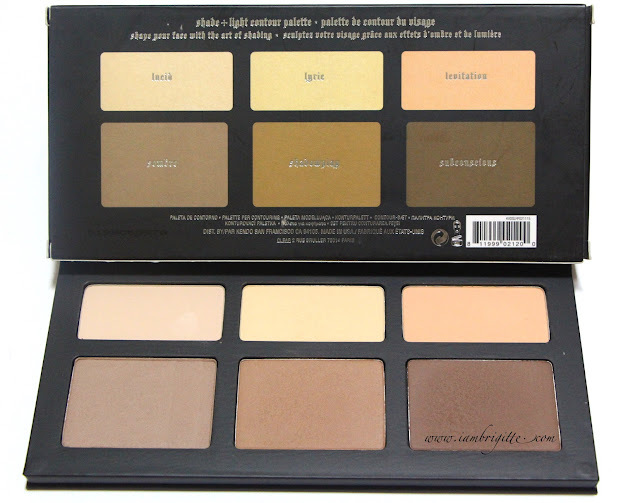 This palette is also made of sturdy cardboard so it's light, just perfect for travelling. 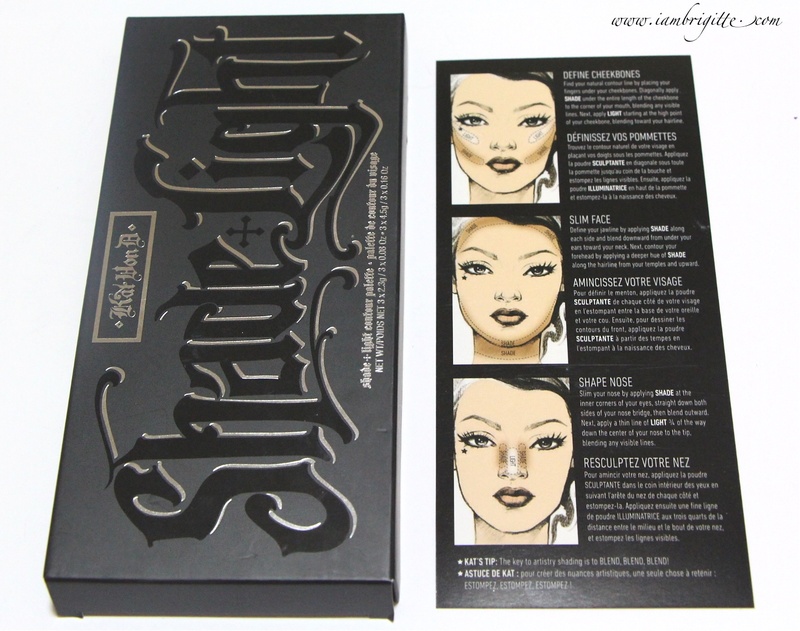 Also, it comes with a handy guide on how to contour those cheekbones, the face and the nose. It also has a full sized mirror which is a big plus. I just wish that it also comes with a brush inside the palette. I mix Lyric and Levitation to set my under eye concealer/highlighter while I use Lucid to highlight. I sometimes use Subconscious on its own to contour my face but sometimes I also mix it with Sombre and Shadow Play. 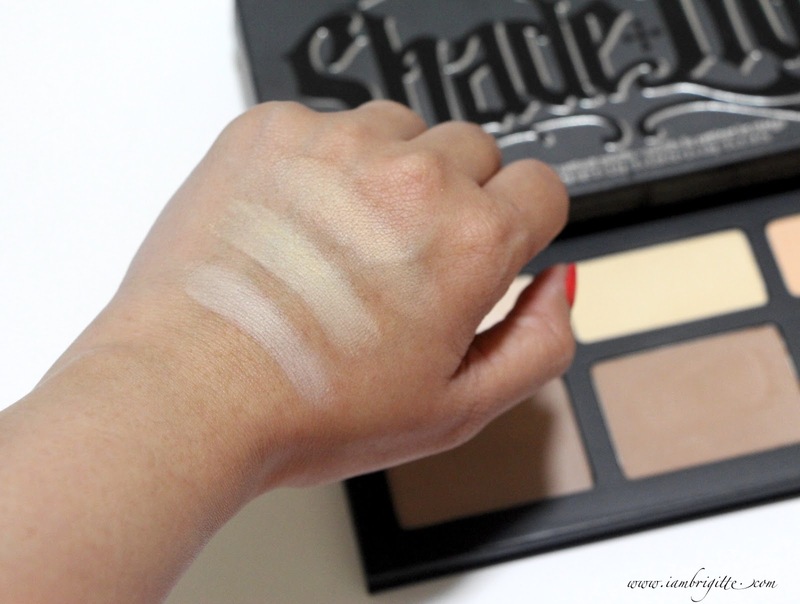 The shades may look dark but those with fair skin tones need not to worry as you can downplay the intensity of the color, depending on how you apply it. 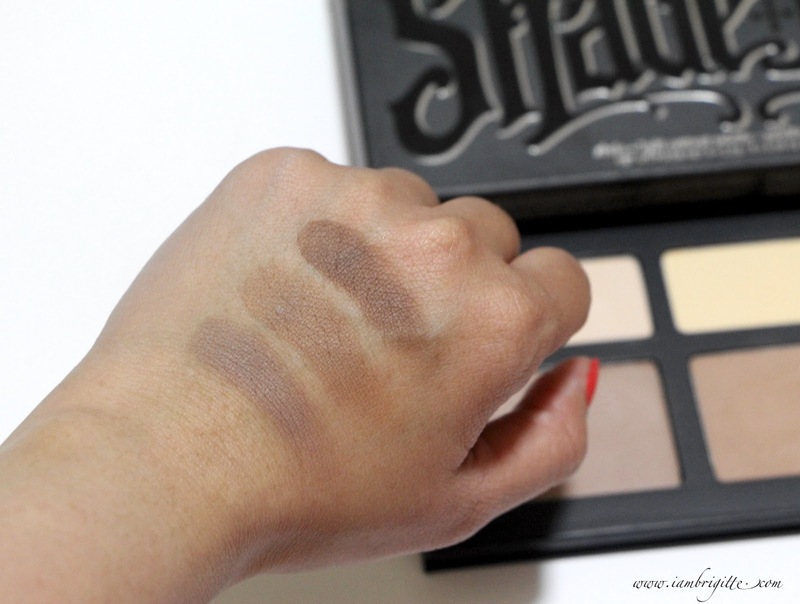 And I tell you, you only need a little because these are so pigmented! I suggest applying with a light hand and add more layers should you need to. The texture of the powders is so silky and smooth, with a little bit of being powder-y. But I think that's what makes these powders so easy to work with. They are so easy to blend and my god, they have amazing staying power too! Overall, I am just so happy with this purchase. Hopefully, Kat Von D will also consider releasing refill pans for this palette in the future. Or maybe sell the powders separately? I don't really like it whenever I see empty pans in a palette. It makes me want to buy a new palette again. Hahaha! Have you tried any of the Kat Von D makeup? I'll be checking out her foundation and concealer next time...and maybe the lippies too! Uh-oh, I smell trouble! How much? Do you know of an outlet here in the Philippines?